Top Row: Guy S. Emerich, Jack O. Hackett II, Charles T. Boyle and David A. Holmes are listed as Super Lawyers. Bottom Row: Roger H. Miller III, Forrest J. Bass, Natalie C. Lashway and George T. Williamson are all selected to the Rising Stars list. 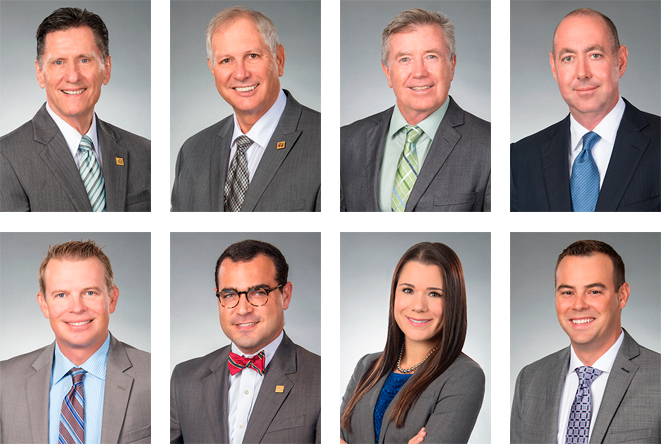 PUNTA GORDA – June 09, 2016 – Eight attorneys at Farr Law Firm have been selected for inclusion in the 2016 edition of Florida Super Lawyers magazine, which recognizes the leading attorneys in the state. Super Lawyers®, a Thomson Reuters business, is a rating service of outstanding lawyers from more than 70 practice areas who have attained a high-degree of peer recognition and professional achievement. The selection process includes independent research, peer nominations and peer evaluations. 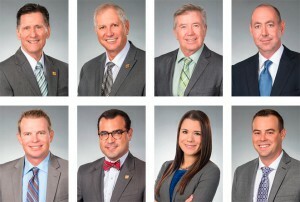 Each year, Florida Super Lawyers lists no more than 5 percent of lawyers in the state as Super Lawyers and no more than 2.5 percent as Rising Stars. To be eligible for inclusion in Rising Stars, a candidate must be either 40 years old or younger or in practice for 10 years or less.